SM Forums / Maya Questions / Lighting & Rendering / Can't batch render more than two frames! Can't batch render more than two frames! Sorry to have to make my first post here under such unfortunate circumstances, heh. But I'm just about at my wit's end with this. I'm working on a short film for my master's thesis, and everything is ready to get rendered. Everything had been going well, I'd been able to batch render just fine on my own computer as well as a computer at my university which I sometimes used (both Macs, both running Maya 2015). Then suddenly one day I couldn't batch render anymore, no matter how I tried. Sometimes the batch render just wouldn't start at all, and sometimes it would start but Maya would inevitably crash after rendering exactly two frames. This happens with every scene I try to render. Following some advice, I tried rendering through a plugin which renders via the render view window. I also tried rendering via the Maya terminal with a batch script. 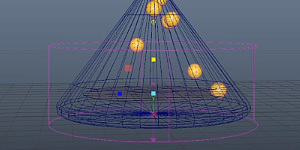 In both cases, the same error: Maya crashes after rendering exactly two frames. I copied this from the terminal, hoping it could help point someone in the direction of what's at fault (Sorry for how long this is, but I figured it would be best to include everything since I don't understand the code very well myself and don't know what's important or not). VP2 Warning : Graphics hardware has been detected to have insufficient memory (256 MB). Please check your video card and driver to ensure that a minimum amount of memory exists (512 MB). The environment variable MAYA_OGS_GPU_MEMORY_LIMIT can be used to explicitly set the GPU memory limit. Version : 5.3.1.0. Feature Level 3,1. Forced GPU Memory Limit : 512 MB. CPU Memory Limit: 3891,2 MB. Error: file: /Users/Shared/Autodesk/ApplicationAddins/MayaBonusTools/Contents/scripts-2015/bonusToolsMenu.mel line 1544: UI commands can't be run in batch mode. // Mental ray for Maya: using startup file /Applications/Autodesk/mentalrayForMaya2015//maya.rayrc. Warning: line 1: Unrecognized node type for node 'vectorRenderGlobals'; preserving node information during this session. File read in  34,4 seconds. Warning: file: /Applications/Autodesk/maya2015/Maya.app/Contents/scripts/others/makeCameraRenderable.mel line 60: Found camera camera_s2aShape. Automatic near/far clipping values: 0,1, 321,661. Starting Rendering /Users/linda/Documents/ARTS/Bitter Lands/Animation/models/images/rendered images/shot_03_12.0469.tif. Finished Rendering /Users/linda/Documents/ARTS/Bitter Lands/Animation/models/images/rendered images/shot_03_12.0469.tif. Starting Rendering /Users/linda/Documents/ARTS/Bitter Lands/Animation/models/images/rendered images/shot_03_12.0470.tif. Finished Rendering /Users/linda/Documents/ARTS/Bitter Lands/Animation/models/images/rendered images/shot_03_12.0470.tif. Starting Rendering /Users/linda/Documents/ARTS/Bitter Lands/Animation/models/images/rendered images/shot_03_12.0471.tif. Error: line 1: File contains unknown nodes or data. To preserve this information, the current file type cannot be changed. Fatal Error. Attempting to save in /var/folders/k1/gz5zz7v100x5xsxl4qg7mx_m0000gn/T/linda.20150514.1827.maError: line 1: File contains unknown nodes or data. To preserve this information, the current file type cannot be changed. I've deleted unknown nodes via the "Optimize Scene Size" tool, and I've deleted my user preferences, but neither has done any good. Let me know if I need to provide some more info!! I thank you so so so much in advance if you can help me here! Take a look at the crash file and see if anything has been reported. Part of the issue I believe is that it can't find the vectorRenderGlobals node type. When the program crashes, it tries to save a .ma file. Since unknown nodes can't be written in a .ma file, it tells you that there was an error. The real error is being caused by TfileTextureCache. Take a look at the crash file for more information, and also take a look at your textures - one of them might be corrupted. Thanks! I checked out the crash report but it only had the same information which was present at the bottom of the text I posted. I then took your suggestion (in kind of an extreme way...) and tried to render a version of a scene with no textures whatsoever. That works, at least using the terminal. So I guess you were right and the problem was in one of the textures. So now I have to add them in again and hope for the best...I might post again if I can't get anywhere with this, but for now, thank you so much! !